10th and 12th marks cards and pass certificates; Study and conduct certificates; M.Tech- all marks statements of qualifying examination. GITAM GAT 2019 Counselling: The candidates who are shortlisted will be notified by the authorities to attend the GITAM GAT 2019 counselling. The call letter of GAT can be downloaded by the candidate by logging in using their application number and passcode. The candidates have to take part in choice filling and locking, pay the counselling fee which is non-refundable, and then announce yourself for GITAM GAT counselling 2019. Candidates will be called for the counselling process based on the rank list. To know more details about the rank list, click on GITAM GAT 2019 Results. 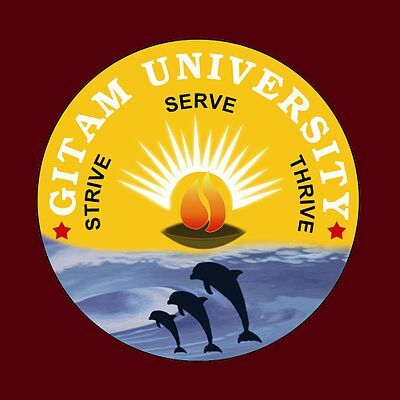 The GITAM GAT 2019 Counselling will be conducted offline by the university from 16th May to 19th May 2019. Candidates should be present in the respective centres on the date of counselling. Documents: The candidates need to bring the original documents as mentioned by the university for verification. Go to the"Announcement" section and click on the link "Download Counselling Call Letter". This will direct the candidates to a page where they can download the counselling letter. Enter your application number and press on the submit button. Call letter will appear on the screen and take a print out of it. Counselling takes place in various cities. The venue for the counselling will be indicated on the call letter of the candidate. 10th class or Equivalent Pass Certificate. Provisional Certificate and all marks statements of qualifying examination for admission to M.Tech. programs. INR 1000/- to be paid for GITAM GAT 2019 Counselling.